It looks like the Index is about to finish a corrective movement. There is a possibility that in the nearest future the price may continue moving upwards and form wave (5) of . 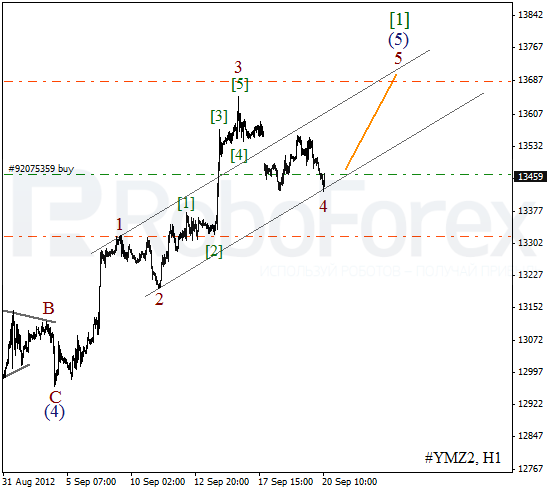 The target for the bulls is still at the level of 13700. 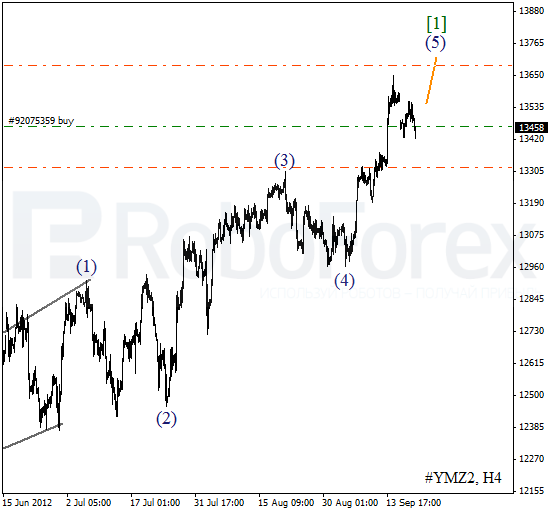 At the H1 chart we can see the structure of wave (5). We may assume that the instrument is completing the fourth wave. The forecast of the price movement is shown on the chart. Later the Index is expected to start forming wave 5 of (5). Yesterday the market started moving downwards, completely changing the wave structure. 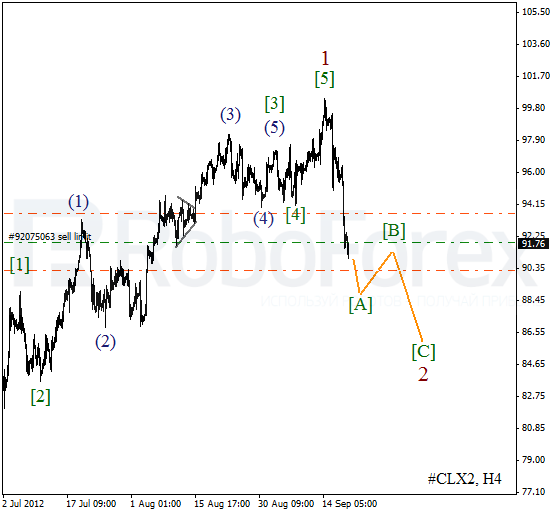 We may assume that currently Oil is forming a descending zigzag pattern inside wave 2. In the near term, the price is expected to continue forming wave [A]. 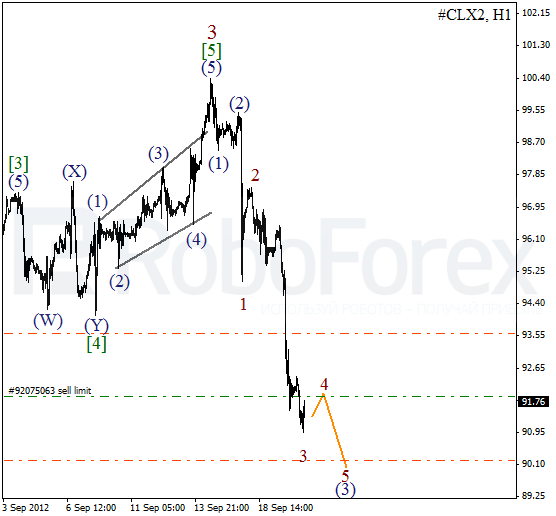 As we can see at the H1 chart, Oil is forming an extension inside wave (3). On the minor wave level the price is forming the fourth wave. In the nearest future the local correction may be completed and the price will continue falling down and form wave 5 of (3).